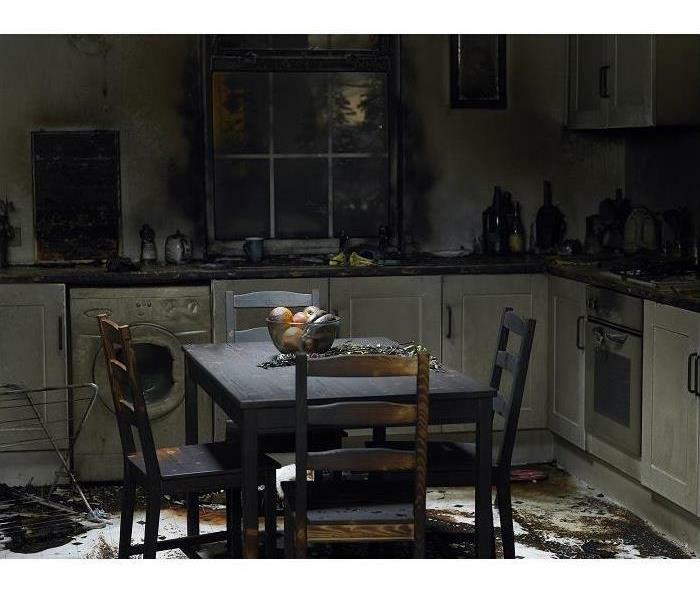 We are here 24/7 365 to take care of any kind of loss you may encounter: from Bio Hazard to Mold to Water and Fire. We will work for you and take care of every detail. Anthony is our SERVPRO of Phoenix Marketing Manager who also fills the role of a Sales & Marketing Representative. He joined our team in 2016 with a strong background in advertising, marketing, and teaching. 'Fat Tony,' as he is affectionately called, leads the way by example in reaching out to our communities to offer exceptional services. Tony also is involved in teaching and instructing staff and CE Continuing Education classes to local insurance and real estate professionals. He now lives in Chandler though he hails from Clio, Michigan. Chris holds several key positions at SERVPRO of Phoenix as a Senior Estimator and Commercial Project Manager. He has been part of our team since 2004 and has learned and earned many certifications. Chris uses the Exactimate program for estimating jobs and has expertise in biohazardous cleanup. He uses his skills in confined space restoration, WRT water damage restoration, and Fire & Smoke FST to for successful completions of projects. Chris was born in Romania and now lives in Mesa. Jason is a proud Owner / Operator of SERVPRO of Phoenix since 2016. His experience includes many corporate and IICRC-industry certifications such as WRT (water), FST (fire & smoke), ASD applied structural drying, Mold Remediation, and Lead Abatement. Jason has achieved many administrative skills like Exactimate and the very important Subrogation. He interfaces well with customers, office staff, technicians, salespersons, and insurance companies. Jason is a native of Mesa and now lives in Phoenix, close to his franchise. He is excited about making this an award winning SERVPRO franchise. Nicole is an Owner / General Manager of SERVPRO of Phoenix since 2016. She has vast experience in both aspects of the business: the administrative and the technical. She is well versed in Business Management, Human Resources Management, Accounting, Exactimate Programming and ISO, Marketing, and Advertising. Combine this with Nicole's experienced technical training and certifications in water damage restoration, structural drying, and mold remediation, and you have an extremely well-informed and talented leader. Nicole was raised in Detroit but now makes her home in Phoenix, AZ. Please contact her anytime at (480) 503-2090. David is our Project Manager / Estimator / Lead Technician at SERVPRO of Phoenix. He can set up large scoped projects with the coordination of equipment and manpower, and also be the lead technician. His Estimator ability ensures a smooth interface with all moving components of jobs. He can handle biohazardous cleanups including crime scenes, asbestos abatement, and is a certified WRT water damage restoration technician. From demolition to final walk-through, David does it all. He has been a key team player since 2013. He was raised in Gilbert, AZ but no resides in Queen Creek. David is our SERVPRO of Phoenix Production & Warehouse Manager / Asbestos Superintendent. A long title for a long list of responsibilities and qualifications. Because David has worked with SERVPRO Of Phoenix in cleanup and restoration since 1979, he has garnered expertise in Work Safety, Odor Control, WRT, Fire & Smoke and Asbestos Abatement. There is more, Demolition, Contents Pack'Outs for cleaning, and Crime Scene Cleanup. With this extensive background, David can easily wear the hat of Warehouse Manager. He is a key SERVPRO member, and he was born in San Diego, CA. David now makes his home in Phoenix. Amela is our Fire & Contents Manager / Lead Technician at our SERVPRO of Phoenix headquarters. She has been helping us since 2000 and has much to offer. She is responsible for Pack-Outs and Content cleaning using her FST and WRT acquired skills to return personal belongings in their preloss condition. Amela is proficient at Crime Scene Cleanup and Applied Microbial Remediation as well. With this skill set, she gets it all done. Amela was born in Sarajevo, Bosnia and we are happy that she made it here to work with us and live in Phoenix. David is an Asbestos Lead Tech / Crew Chief at SERVPRO of Phoenix. He has been abating asbestos problems and cleaning up crime scenes since 2013. He is a certified crew leader that imparts his expertise on the job. David is a Lead Demolition Man and is always attuned to our customers' needs. David hails from San Diego, CA and now makes his home in Phoenix. Jason Temple is our Construction Superintendent / Recon Manager at SERVPRO of Phoenix. He is a KB2 Contractor who can do rough framing to finished carpentry and cabinets. 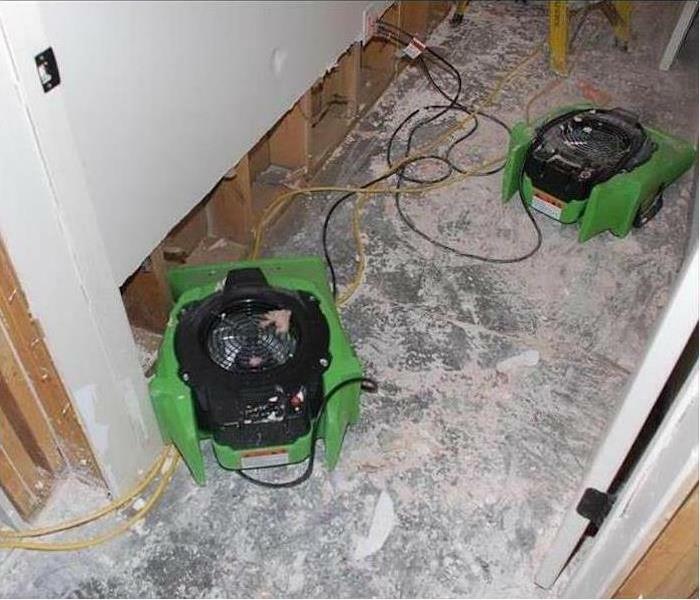 Installation of new flooring or drywall is not a problem. His responsibilities include project planning, quality control, code compliance, and timely completions. Jason has been supervising our reconstruction crew since 2013. He is a local product who still makes his home in Phoenix, AZ. Nolberto is a Construction / Demo technician at SERVPRO of Phoenix. He has been restoring homes damaged by storms, fire and water damage since 2016. He can frame structures post demolition and works well with our crew members. Nolberto proudly helps his local Phoenix, AZ neighbors where he was born and raised. Julio is a Construction / Demo technician at SERVPRO of Phoenix since 2016. He is a valued member of our crews responsible for restoring damaged properties. He can demolish, install building elements such as drywall, ceilings, and new flooring, and leave the job site clean until completion. Julio hails from Phoenix, AZ where he still calls home. Irene is a Water / Demolition Technician at SERVPRO of Phoenix since 2016. She is a WRT water damage restoration technician. She is accomplished at Crime Scene Cleanup and contributes to Abatement and demolition. Irene hails from Phoenix and still lives in Phoenix, AZ. Jaden is a Water Technician for SERVPRO of Phoenix since 2017. He works to extract and dry out damaged properties after flooding, infrastructure or appliance malfunctions. He is part of our team and hails from Flint, MI. Jaden now resides in Chandler, AZ. Stephanie is our Contents Crew Chief / Lead Technician at SERVPRO of Phoenix since 2014. She focuses on fire and water damage Pack-Outs and cleaning of customer belongings on site and at our facilities. She does a great job of leading this aspect of our business. Stephanie was born, raised, and still lives in Mesa, AZ.